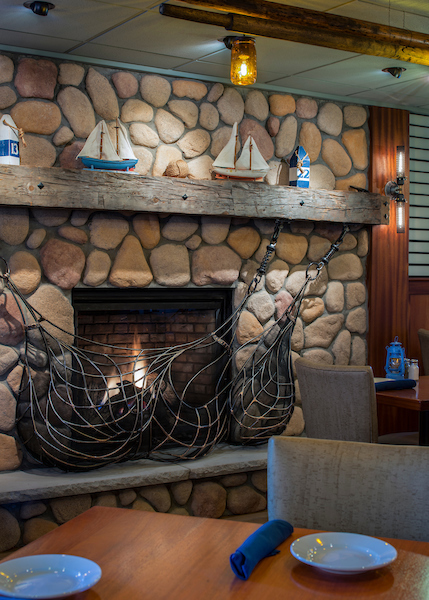 Boat House Grille Essex, MA features delicious seafood, prime cut steaks, an oyster/raw bar, pasta, salads, burgers, homemade desserts and fun eats in a casual, relaxing atmosphere. Our menu combines the best of “old and new” Essex. We offer lots of local favorites and adventurous new daily specials – created by a team of great chefs who are inspired by the freshest ingredients available with each new season. 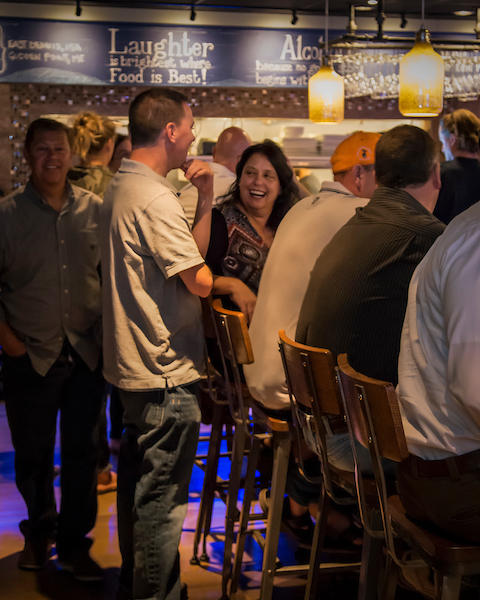 House specials feature Haddock Tesoro, Salmon Tower, Boat House Baby Back Ribs, Maple-brined Pork Chop, Short Ribs, Sweet Chili Salmon, Lamb Shank, Boat House Bouillabaisse and Blackened Fish Tacos. The Boat House bar is fully rigged with an impressive list of cocktails, whiskies, beers, craft brews, fine wines, dessert drinks and other spirits. A few favorites include Boat House Beer Flights with draughts of your choice, Martinis and special mixed drinks like our 1819 Manhattan, Cosmopolitan, Ship’s Captain, Kir Royale, Sangria and Over Board Old Fashioned. Boat House Grille Essex is open year round for lunch, dinner, and drinks, take out, private functions, work events and family parties. 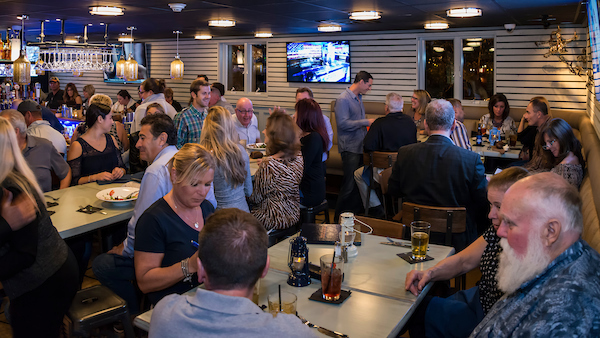 We have a fun loving crew, a fireplace in the dining room, big screens in the bar, and function rooms for groups of up to 40 guests – ready for all kinds of special occasions. Reservations are only accepted for parties of 7 or more. For additional information, please give us a call at 978-890-5113. We invite you to check out lunch and dinner menus here on the website and come visit us soon – we look forward to seeing you! 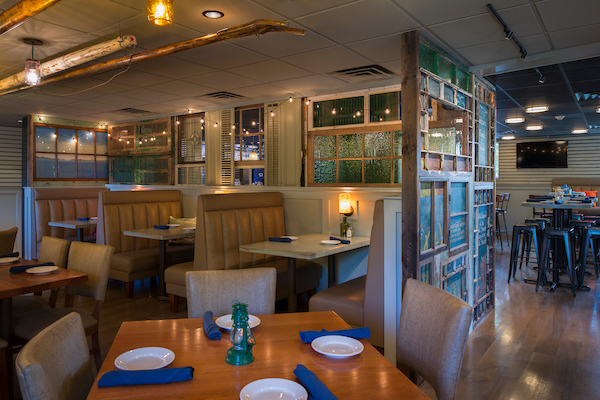 Boat House Grille Essex is the second MRG INC restaurant location on the North Shore. It was opened at 234 John Wise Avenue (RT 133) Essex, MA in October 2016. Our first restaurant, Blue Marlin Grille was opened at 65 Eastern Avenue (also RT 133) Essex, MA in April 1998. Since that time, we have been committed to providing the best quality food, value and dining experience – with each dish prepared individually and cooked to perfection for our customers. We thank all of our valued patrons here on the North Shore, summer time visitors, team members, family and friends for the praise and support that has helped us grow over all of these years.